The Task Manager (Task Manager) is an important part of your tablet. From Android 4 is a task manager installed as standard, but earlier versions may also have a default task manager available. So you can go to the Task Manager on your Android tablet navigate Settings> Applications> Running (tab). Some apps are started by default when you start your tablet. This can default android processes are needed for basic functions on your tablet to use. This can for installed apps from the producer or any telecom provider. These may be apps that you have installed. Using the Android application Startup Cleaner 2.0 you all these processes that turn on automatically when you turn on your tablet identified. The app also gives you the ability to direct individual applications immediately after startup stop. Identify unnecessary applications to remove. Select it and click on "Batch preventDefault selected". But beware: only remove apps that you know that you can stop at startup. Not sure about an app from the list? Search with Google for the function of that application, before you removed. The removal of essential system processes from the list, you can damage the tablet. Basically Cache memory is a means to your device faster. Frequently-used elements are stored on the tablet so they do not always need to be downloaded. This saves a lot of time for tasks like browsing the Internet, mainly on web pages where you often find you. Some applications may extreme cache. It is recommended to several times a year the entire cache of the tablet to erase. The time savings will be minimal but you also have a clean tablet with more free memory. You can set the cache to delete individual applications . There are also applications available in the Play Store at one time all the cache of your tablet can identify and delete. Examples App Cache Cleaner , Cache Cleaner easily and Cache Cleanup . Dynamic or live widgets on your home screens are useful. They show current information and are often interactive. Live widgets regularly ask for some computing power to such new information to download or update such information on the basis of a changed location. By disabling unnecessary live widgets you can prevent this. It is also wise to process and battery consumption of the widgets to monitor if you suffer from a slow tablet. This option is not available on all types of tablet PCs. Via Settings> Display> Animation you on many tablet PCs animations of the Android system off. These animations often look slick. 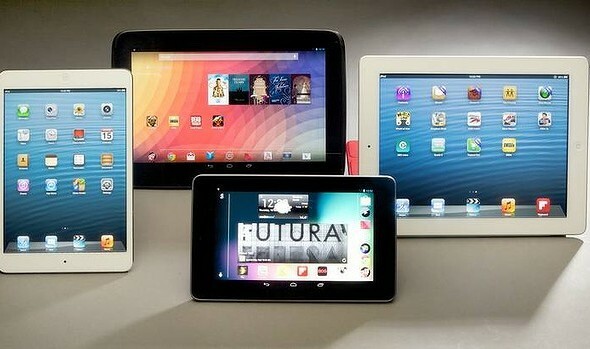 However, especially for older or less expensive tablet computers, they can cause unnecessary delay of your tablet. By the animations off can sometimes small delays. Also live wallpapers, animated and / or interactive backgrounds, some memory will need to function. By choosing a static background prevents this. See how you can replace background of your tablet . It is difficult to see which applications sync and how often. Look at least once in Settings> Accounts & sync . But other apps can auto-sync elements. In any case, e-mail applications will do this, but also think of social media apps (eg MySpace, Facebook, Twitter) and any other apps that give you a notification when something has changed. Synchronization of applications is sometimes not necessary. Often, the application automatically synchronizes once when you open it. In that case you can use the settings of the app to disable synchronization. It may also be wise to sync settings so that for example less synchronized or not synchronized harmful components. Dropbox example, many synchronization options to increase the speed and battery life of your tablet to manage. GPS is a sensor that uses a lot of battery. Often apps running in the background that use this data and / or transmitted to remote servers. Through the GPS off prevents this. The speed gain on your tablet will be minimal, but every little bit helps! Although Bluetooth sensor more a battery-eater than a delaying factor here is the same as for GPS: every little bit helps. The last tip is a logical step. But one that quite often forgotten. By completely remove applications you do not use your care for a sanitized tablet. Applications can no longer transmit personal information, your application list is better and you create more storage capacity for other purposes. In short, an important step that many or not enough is done.